Last week, I visited one of Dublin’s lesser known tourist attractions, a place I had driven past thousands of times but never stopped to see, St Audoen’s church on High Street in the centre of medieval Dublin. It is very close to the better known cathederals of St Patrick, and of Christchurch . 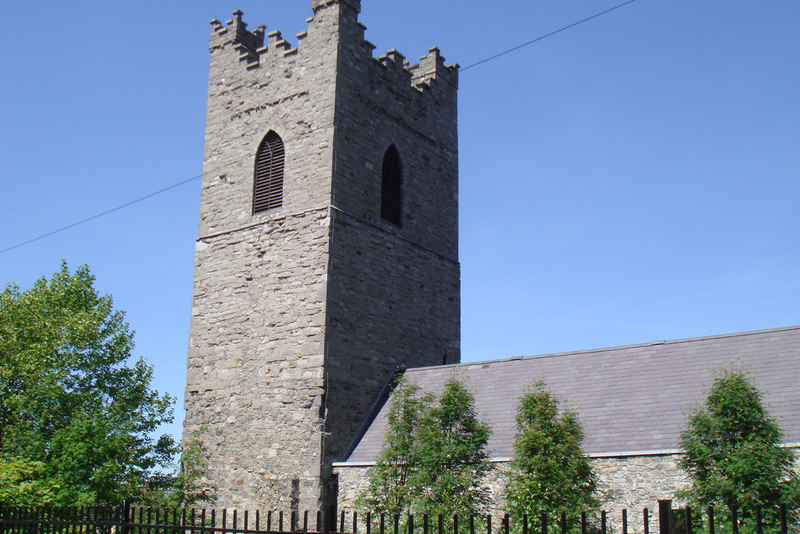 The church was built around 1190, just twenty years after the Normans conquered Dublin. 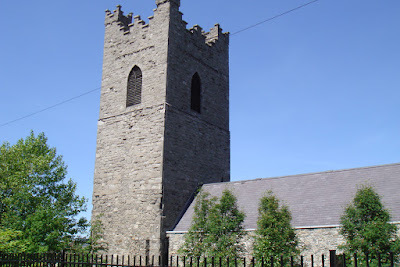 A previous church on the site had been dedicated to St Colmcille, but the Normans dedicated their new church to St Audoen( or St Ouen), who had been the bishop of Rouen in Normandy in the 7th century. The church actually took 30 years to build and has been added to and subtracted from over the centuries. In fact, in 1773 the roof was removed from the eastern section of the church because of declining congregations. I am wondering what was saved by doing this, but I suppose the roofing material was used to repair the rest of the church. Part of the building is still used as a church by the Church of Ireland, and part houses an exhibition about the history of the church, and another about the different trade guilds that were active in medieval Dublin. 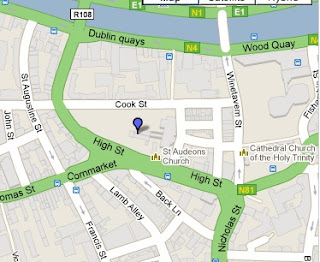 Beside St Audoen’s Church of Ireland church is another newer church dedicated to the same Norman saint. It is a Catholic church and is used now by the large Polish community in Dublin.